Who closed Yaudanchi Ecological Reserve? In a bucolic little corner on the south eastern edge of Porterville exists a piece of Tule River floodplain that has never felt the till of a plow or the heard the hammering of a nail. The reserve is an outdoor classroom for the Porterville public school system and a recreational area for the community. The 164 acres got their official designation as an ecological reserve in 1975 and was named in honor of a branch of the Yokut tribe that lived in Northern Tulare County. The state owns the land and the reserve was well managed by the Department of Fish and Wildlife to the satisfaction of all. So why was Yaudanchi closed? Laurie Schwaller, a founding member of Friends of the Yaudanchi, was the first to notice there was something amiss. While responding to a Monache High School student’s request to use the reserve for research, Schwaller noticed that the YER had been removed from the Department of Fish and Wildlife’s (DFW) list of ecological reserves. The mysterious knot began to unravel when she discovered that the Porterville Development Center (PDC,) a state hospital for the disabled, closed the reserve in October of 2017. The state has owned the property since 1945 and built the PDC on the southern end, leaving the northern section that would become the YER untouched. Schwaller then discovered that Vandalia Water District (VWD) decided to replace the earthen ditch that runs the length of YER with a metal pipe. The pipeline was to be 42″ and 2,602 feet long and would almost completely block the reserve’s access to water. The reason for piping the ditch was that farmers were losing too much irrigation water to seepage. 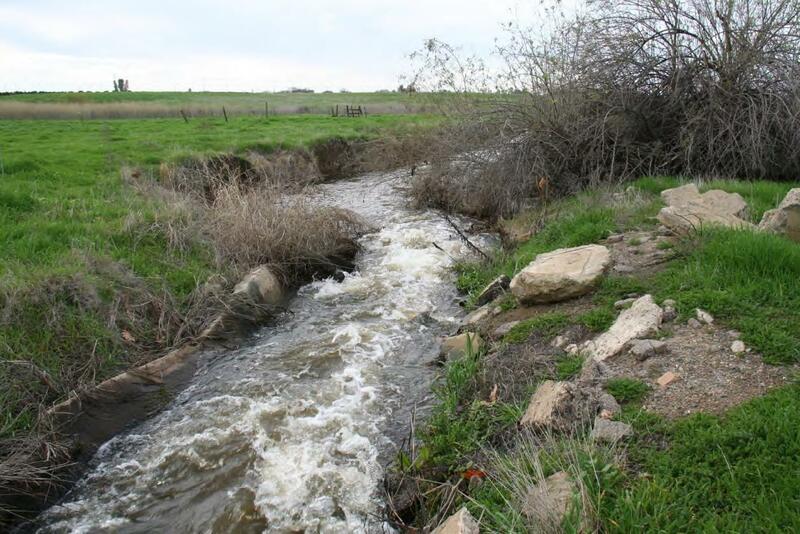 In 1860 the Campbell Moreland Ditch Company dug that ditch and for 159 years the water running through it sustained a Tule River wetlands and natural wildlife habitat that became the lifeblood of the Yaudanchi Ecological Reserve. The Campbell Moreland Ditch, which is run by VWD, runs from the Tule River to sinking basins and farms south of Porterville. Once the construction of a pipeline and loss of water seemed inevitable PDC closed the reserve. As a result, the Department of Fish and Wildlife withdrew from their agreement to manage YER, removing all signs, discontinuing all maintenance, and locked up the parking lot. Learning of the public hearing about building the pipeline with only days to spare, the Friends of Yaudanchi quickly organized a response and presented it to the directors of the VWD and Campbell Moreland Ditch Company. VWD’s goal was to build the pipeline and avoid the cumbersome and expensive process of doing a complete Environmental Impact Review (EIR). Their Initial Study, completed by 4 Creeks Inc., concluded that the project would not make a major environmental impact, thus an EIR would not be necessary. But a public hearing is required to give the community an opportunity to respond to the Initial Study before any project on public lands can go forward. During the public hearing VWD was told that the project would make a major environmental impact and thus they were required to do an EIR. The Sierra Club, Audubon Society, Wildplaces, and the California Native Plant Society claimed that the pipeline would cause irreversible harm. “The destruction caused by the removal of water from a riparian and upland habitat and the species that depend on that habitat is irrevocable,” Richard Garcia representing the Sierra Club wrote. In addition, YER was used by the California Department of Transportation (CALTRANS) to mitigate habitat lost during their project’s construction. CALTRANS used the YER to plant elderberry bushes to replace those they destroyed. The elderberry bushes are the main habitat for the endangered long horned beetle. The VWD was possibly faced with mitigating the CALTRANS mitigation if they pursued the pipeline. VWD’s own report said there would be a major environmental impact. The Initial Study’s biological report commissioned by VWD said, “The Project would essentially remove the majority of the hydrology for the Ditch. However, drainage does occur from adjacent sites. Thus, piping the Ditch would not remove the hydrology entirely. The Ditch would remain open and the pipeline would be sited away from the Ditch and associated wetland and other sensitive habitat. He still maintained that the project would have no environmental impact on the reserve. Now that the water supply for the reserve had been saved, the Friends of the Yuadanchi wanted to get the recreational area back open to the public, but it hasn’t been a smooth ride. “In July, we began contacting PDC again, requesting to meet with decision-makers to discuss re-opening and properly managing YER again, now that the pipeline was off the table,” said Schwaller. It took six months, but on January 4 of this year the Friends of the Yaudanchi secured a meeting with Norm Kramer, of the Director of the Department of Developmental Services (DDS,) PDC’s parent company out of Sacramento. Attending the meeting were the executives from DDS and PDC, the groups that opposed the pipeline at the VWD Public Hearing, representatives from the Tule River Tribe Council and Porterville Unified School District. Kramer emphasized that the Friends of the Yaudanchi would have to do the maintenance, ensure the safety of the public, get their own insurance, and indemnify the state of any liability. “Put forth a viable option to take PDC off the hook. Make it something good for the community to use,” Schwaller said was Kramer’s suggestion. On January 28 PDC unlocked the gates and let the Friends of the Yaudanuchi and members of the Tule River Tribe take a tour of the reserve. Though the recreation areas were all grown over and the pond was empty the group was hopeful that it wouldn’t take much funding to bring it back to what it was. The goal of the group is the removal of invasive plants, refill the pond, maintain the trails, repair the gazebo, restore the signage, open the parking lot and bring back the porta-potties. From discussion during the tour with Frank Chandler, Chief of Plant Operations for PDC, YER is going to set up tour dates in the spring and possibly create a special use permit between PDC and YER for access to the reserve. Get the Sierra club involved.with the drought water being a valued commodity. It’s needed to replenish the aquifers . There is dry wells here for one. Something that needs to be understood about the Vandalia Irrigation District is that they do not deliver water to growers using an extensive ditch system or water pipes – they take water and spread it on a historic river bed of the Tule River and let the water sink into the sandy soil of a past riverbed and growers then get the water from their wells. Those who are unfamiliar with Porterville may need to open google maps and look north of the Cal Fire station and you can see the main percolation pond as well as smaller ponds to the west. So here’s my question: Why does it matter if the water percolates into the historic riverbed in their spreading ponds or 1/4 mile further to the east into the historic riverbed? I would encourage anyone searching for a path to groundwater sustainability in the Tule River Basin to take Saul Travers’ advice and study the historic Campbell-Moreland Ditch on Google maps. It is located on world class aquifers that traverse the Yaudanchi Ecological Reserve. The old ditch was dug in 1860 in the gravel and sand streambed of what is referred to on 1892 maps as the “Old Channel of the Tule River”. The Vandalia Water District runs water intermittently through the ditch to make surface water deliveries to their customers and to fill nearby groundwater recharge ponds that are located adjacent to their 23 wells (soon to be 24) that pump around the clock on their well farm. Irrigation flows though the unlined Campbell-Mooreland ditch are crucial to the survival of the trees and wildlife on the Ecological Reserve. Stop the pipeline! Save Yaudanchi. Yaudanchi seems to embody important and diverse interests, water being an important driver. The other drivers of science and outdoor education, living Native culture and its history and ceremony, the ecology of rare open space, and recreational benefits all seem to be rising to the surface. I see that more and more, people are becoming informed. Protection seems inevitable, but the inevitable is not always guaranteed nor does it just happen. Right now, we need a managing agency (ether State Parks or CA DFW to take the reins and establish the best management practice. Reach Friends of Yaudanchi, esp if you have influence at State Parks or CA DFW and are concerned about wild and rural lands, its peoples, and the allegedly free resources.